Sunday dawned grey and dreary, the ground was damp outside from the light drizzle that never seems to turn into rain. We met up with some family friends to eat toast and drink coffee huddled against the wind and fog at the Mill, went to the farmer’s market then mooched around the apartment with the heater on. I wrote some cards (I love snail mail), finished reading Room by Emma Donoghue and then made us some pasta for lunch. It was ridiculously easy and was perfect for a Sunday. Throw the garlic, onion and zucchini into a blender and pulse until finely chopped. In a pan, heat plenty of olive oil and then add the mixture seasoned generously with salt and pepper. Put on a pot with plenty of water for the pasta and by the time the pasta is cooked, so is your sauce. Add the pasta to the pan with some grated parmesan, the lightly toasted pine nuts and swirl it all together until each piece of pasta is coated. Check for seasoning and then dish up. Just in time, the sun came out. 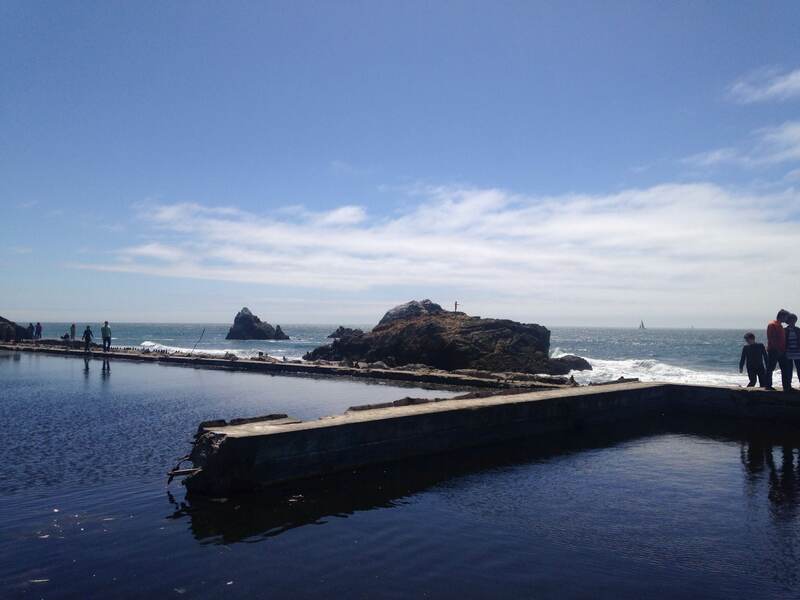 We opened the windows, greedily scraped our bowls clean and then ventured out to explore around the headlands by the abandoned Sutro baths in the sunshine. A perfect Sunday.